From the New York Times bestselling author of Little Leaders: Bold Women in Black History comes the highly anticipated follow-up, a beautifully illustrated collectible detailing the lives of women creators around the world.Featuring the true stories of 40 women creators, ranging from writers to inventors, artists to scientists, Visionary Women Around the World inspires as it educates. 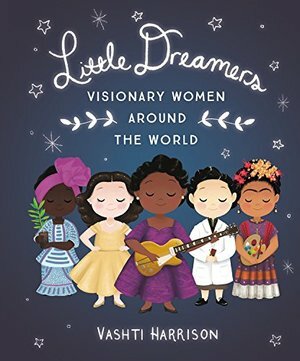 Readers will meet trailblazing women like Mary Blair, an American modernist painter who had a major influence on how color was used in early animated films, actor/inventor Hedy Lamar, environmental activist Wangari Maathai, architect Zaha Hadid, filmmaker Maya Deren, and physicist Chien-Shiung Wu. Some names are known, some are not, but all of the women had a lasting effect on the fields they worked in.The charming, information-filled full-color spreads show the Leaders as both accessible and aspirational so reader knows they, too, can grow up to do something amazing.